On Twitter, @londonsquared asked for an update on my writing setup, which I’d last written about in 2016. Honestly, very little has changed in the past three years. I still have the same computer, desk, mouse, keyboards and headphones. I print so little that today was the first time in years that we needed to buy a new toner cartridge. My only real piece of new hardware is the iPad Pro. While I don’t love the squared edges — it feels thicker than the old ones — I find myself using the redesigned pencil all the time. On the whole, I like it a lot. I’m hand-writing much less than I used to. Most of that is because I’ve been writing the Arlo Finch books, and it’s so many words that I just can’t keep up with paper and pen. 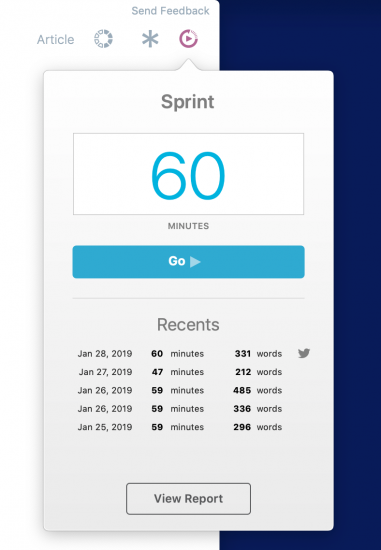 But I also do #writesprints a lot, using Highland 2’s built-in Sprint feature. For other software, I’ve started using Apple Notes in place of Evernote, and switched back to OmniFocus and Mail. My mail setup is a mess. The right combination of rules would probably allow me to sort out the wheat from the chaff, but I haven’t invested the energy. Plus, getting it to work properly in iOS would be a big challenge. Increasingly, the iPhone is where I’m doing email triage. If anything, it’s worse now. I set up a rule to shunt anything with the keyword “unsubscribe” to a special folder, but that’s just hiding the problem rather than addressing it. On the whole, I’m honestly surprised I haven’t changed more things over the past three years. I’m generally an early adopter and experimenter. But until we start using goggles instead of screens, I suspect this is going to remain my basic setup.